to put things in words. will be with me always. of Dad I could always count on. for a Dad who is as special as you. 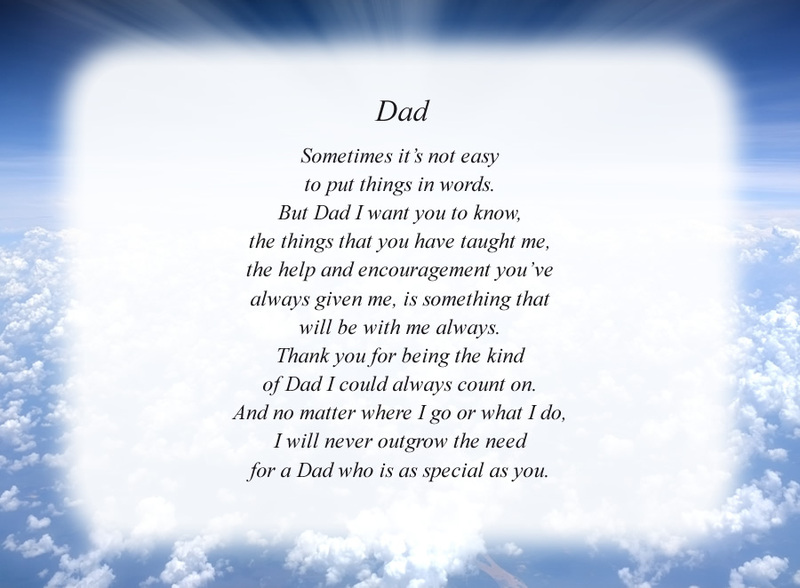 The poem, Dad(3), is free and printable by opening or downloading using one of the three links below.